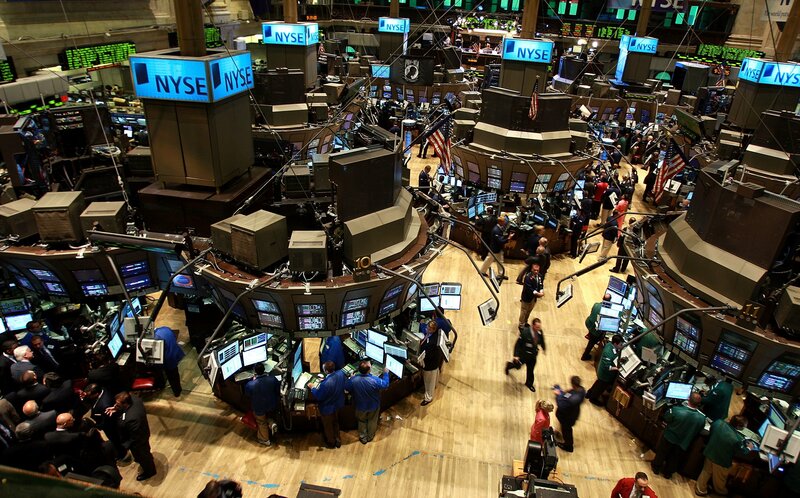 Reuters — Stocks edged lower on Wall Street on Friday after data showing the U.S. economy grew at its weakest pace in three years in the first quarter gave traders a reason to cash recent gains. Major indexes closed up for April, however, with the Nasdaq up for six consecutive months, the longest streak in nearly four years. Gross domestic product grew at a 0.7 percent annual rate, below the 1.2 percent rise estimated by economists, as consumer spending barely increased and businesses invested less in inventories. The economy grew at a 2.1 percent pace in the fourth quarter. “GDP was a little bit light and that may be the cause of some weakness today,” said Gary Bradshaw, portfolio manager at Hodges Capital Management in Dallas. Citi Research’s gauge on U.S. economic data surprises (.CESIUSD) turned negative for the first time since November. The soft growth data is bad news for the Trump administration after campaign promises to significantly boost growth and adds to concerns among some in the market that lower taxes, deregulation and increased government spending – the main reasons for a post-election rally – will be, at the least, delayed. The Dow Jones Industrial Average (.DJI) fell 40.82 points, or 0.19 percent, to close at 20,940.51, the S&P 500 (.SPX) lost 4.57 points, or 0.19 percent, to 2,384.2 and the Nasdaq Composite (.IXIC) dropped 1.33 points, or 0.02 percent, to 6,047.61. For the week, the Dow rose 1.9 percent, the S&P gained 1.5 percent and the Nasdaq rose 2.3 percent. 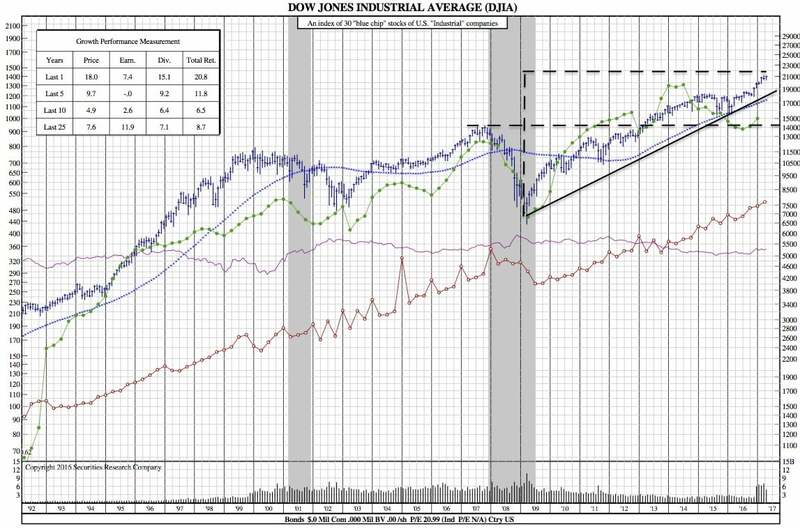 During April, the Dow gained 1.3 percent, the S&P rose 0.9 percent and the Nasdaq jumped 2.3 percent. The Nasdaq was buoyed Friday by gains in Amazon and Google’s parent Alphabet. Amazon (AMZN.O) rose as much as 3.4 percent to a life-high of $949.59, and ended up 0.7 percent at $924.99, while Alphabet (GOOGL.O) gained as much as 5 percent to a record of $935.90 and closed up 3.7 percent at $924.52 after their quarterly results beat estimates. Combined earnings reports and expectations for S&P 500 companies show profits are estimated to have risen 13.6 percent in the first quarter, the most since 2011, according to Thomson Reuters I/B/E/S. While strong earnings have kept the market at or near record levels, persistent geopolitical tensions have weighed on investors’ minds. Intel (INTC.O) fell 3.4 percent to $36.15 after the company reported lower-than-expected quarterly revenue. Baidu (BIDU.O) ended down 4.1 percent at $180.23 after the Chinese internet company forecast second-quarter revenue largely below estimates. Declining issues outnumbered advancing ones on the NYSE by a 1.59-to-1 ratio; on Nasdaq, a 1.76-to-1 ratio favored decliners. The S&P 500 posted 39 new 52-week highs and six new lows; the Nasdaq Composite recorded 103 new highs and 44 new lows. About 6.94 billion shares changed hands on U.S. exchanges on Friday, above the 6.55 billion daily average over the last 20 sessions.